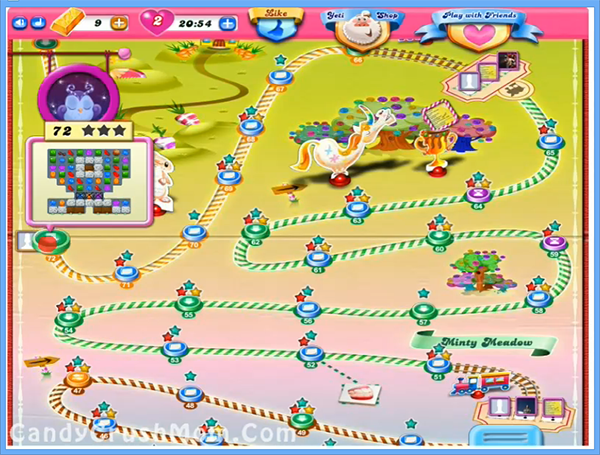 This level is not that difficult but if you wont play with good strategy it could make problem. This level candy board have 17 meringue blocks, three grill boxes and five chocolates and you need to break them all as soon as possible. You should try to break all chocolates so they wont increase later and wont waste moves plus ingredients wont stuck on it. You might need to make special candies like striped candy or colorbomb and try to combine with each other to take down all ingredients within less moves so the rest will convert to fish booster or striped candy and will help to get three star score. We completed this level with 92920 lucky score and got three colorbomb that help to complete level within 42 moves plus give three star score.